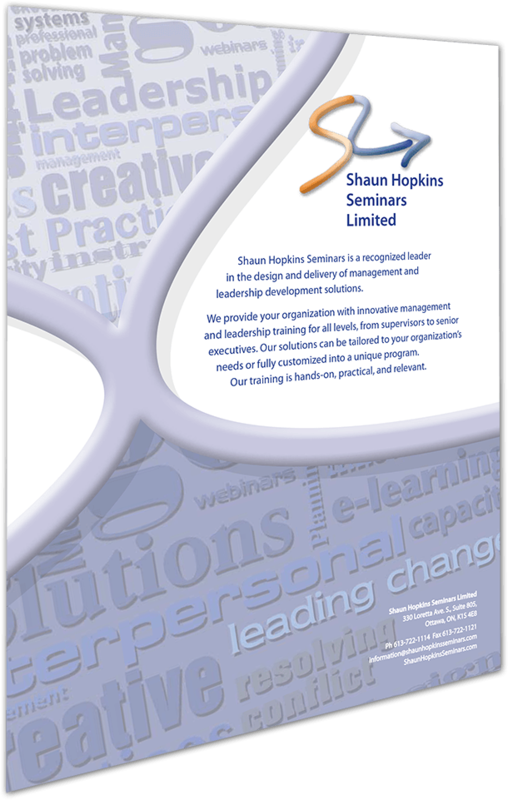 Shaun Hopkins Seminars is a recognized leader in the design and delivery of management and leadership development solutions. We provide your organization with innovative management and leadership training for all levels, from supervisors to senior executives. Our solutions can be tailored to your organization’s needs or fully customized into a unique program. Our training is hands-on, practical and relevant. His extensive knowledge of the subject matter and exemplary training techniques along with his generosity in sharing his knowledge were key to the delivery of a very successful and transferable training program. We can support the leaders within your organization. Shaun Hopkins Seminars has the experience and the know-how to motivate personal growth for your employees.